Want to understand your finances a little better? Wish you knew all the tricks when it came to how to save money? Or do you simply want to have more money to spend on the things that are important to you? Guilt-free. Well if the answer is yes to any of those questions then good news! There is a free guide, available by signing up below, teaching you how to do it. How can you get this FREE e-course? Sign up below. Only your email address is required and at no point will you be asked to share any financial information. Why have I given away a course that will show you how to save money? Well, this is FeastStyleThrive and the purpose of this site is to help you eat where you want, buy and wear what you want and live an amazing life. One of the biggest obstacles we face when trying to live life to the full is a lack of money, or a misconception that we lack the money to do what we want. I’m not saying you should throw your money away on frivolous things but so many people are spending more than they need to on their utilities or their groceries or their travel. By reducing what you spend, you have more to save and more to use to have a fulfilled and happy life. I really enjoy cooking and one day I shall have a huuuuuge kitchen with all the latest gadgets including a built-in teppan plate, two fridges, a boiling water tap and a central island for the hob so I can show off my culinary skills in front of the many guests who will come and visit me in my mansion. I’ve got a lot of saving to do though! In the meantime, until I have that kitchen, I shall be filling my current place with all the kitchen gadgets that will fit in an attempt to come across as a proper cook. The items below caught my eye while I was being cooked for by my friends and family recently and are brilliant. None are really essentials, and several of these kitchen gadgets aren’t particularly easy to use, but they all look good and make my life better and that is enough for me! The first of my essential kitchen gadgets is this milk frother thingy from Graef. My mum showed me this and while a cheaper alternative would be an electric whisk in a pan, it is very good and made the milk so frothy I was able to build a little house on the top of my coffee with the foam. This is currently available at Amazon for £37.12. On the theme of coffee, I can’t bear instant and making a pot of coffee just for me is a waste. If you find yourself in a similar position then you MUST get an Aeropress coffee maker. It’s cheap, doesn’t take up space in the kitchen and makes a great cup of coffee in seconds. It’s currently £25.99 at Argos. Another non-essential but totally tempting kitchen gadget is the pasta maker. I appreciate that a bag of pasta is incredibly affordable but seeing the Masterchef guys create some fresh penne was highly impressive and something I wanted to be able to do immediately. This is available on Amazon for £44.66. Now, the following was on my wedding gift list because it was something I couldn’t really justify buying for myself but really wanted. Le Creuset is the best and these are great for cooking pretentious mini dishes. They also come in a multitude of colours – heck you could get them to match your nails! Available again on Amazon for £17 each. For aaallllll the baking I do, you’d think I would have built up rather strong arm muscles! But no, I cheat! I watched Nigella on the TV with her electric mixer and thought “I too want to be able to simultaneously mix cake and cook dinner!” So I bought a KitchenAid. And it matches my kitchen. Oh yes. It’s currently available at John Lewis for £499.95. Now if I’ve compelled you to buy any of the above, check first if you can get any cashback on any of them. Are chips money saving? Well, noooo. 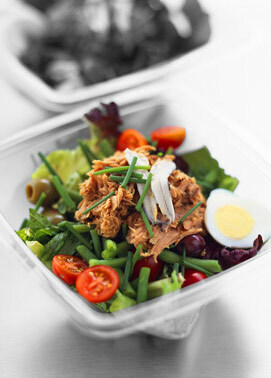 But, if you can make delicious food at home, you JUST MIGHT eat out less often and therefore……SAVE MONEY! HURRAH! SEE I MADE A CONNECTION! Anyway, back to the post…. 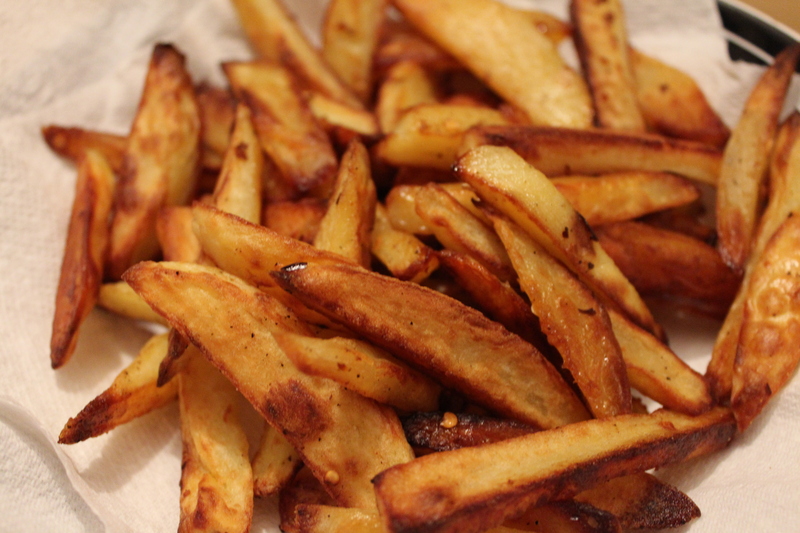 If you love chip shop chips, then I’m afraid this recipe is not for you. 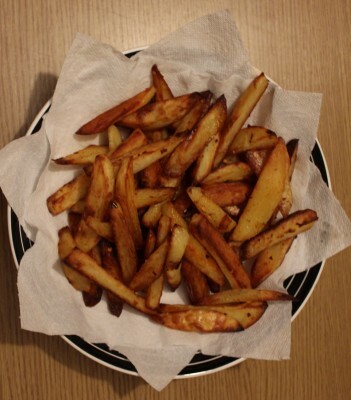 If you like super crispy chips – think chunky McDonalds fries with less salt and more pepper – then read on. My mouth is watering just writing this! Peel 3 large potatoes and slice into large sticks as thick as your thumb. We want these to be chunky. Lay them between 2 pieces of kitchen towel to dry off some of the starch. Find a large baking sheet and pour in 3 good glugs of olive oil. Use one of your potato thumbs to spread the oil over the baking sheet. 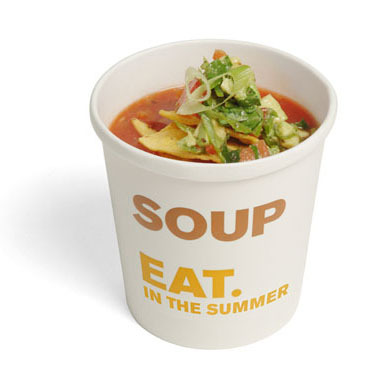 You don’t want to miss any bits as this will mean your chips will stick to the tray. 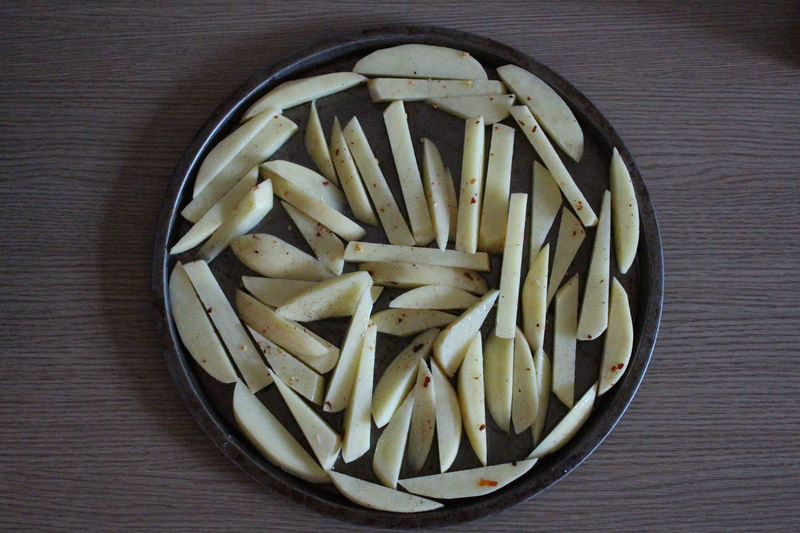 Add all of the potato pieces onto the baking tray. 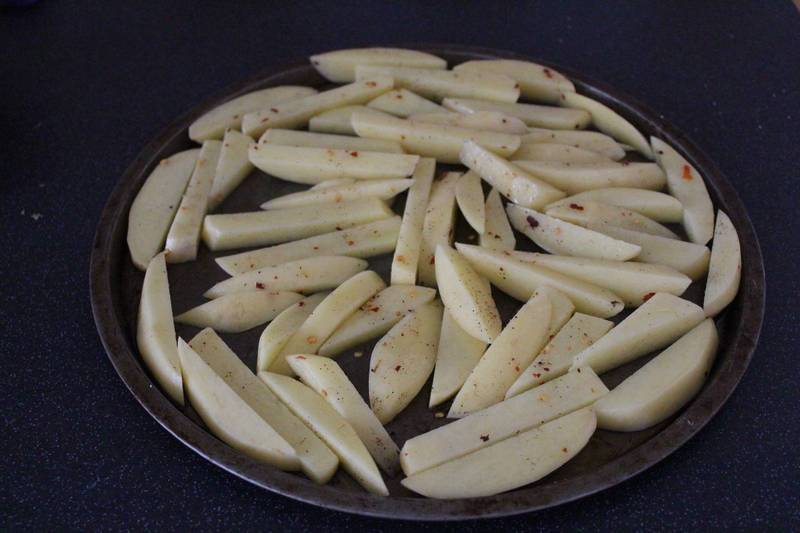 Top with a very good sprinkling of salt and pepper (and chilli flakes if you fancy it) and give them all a good mix together with your hands. If you feel you need a little more oil so that they are lightly coated, go ahead. Once coated, spread them out across the tray so that they’re not on top of each other and can all be properly exposed to the heat. This will help them to crisp. 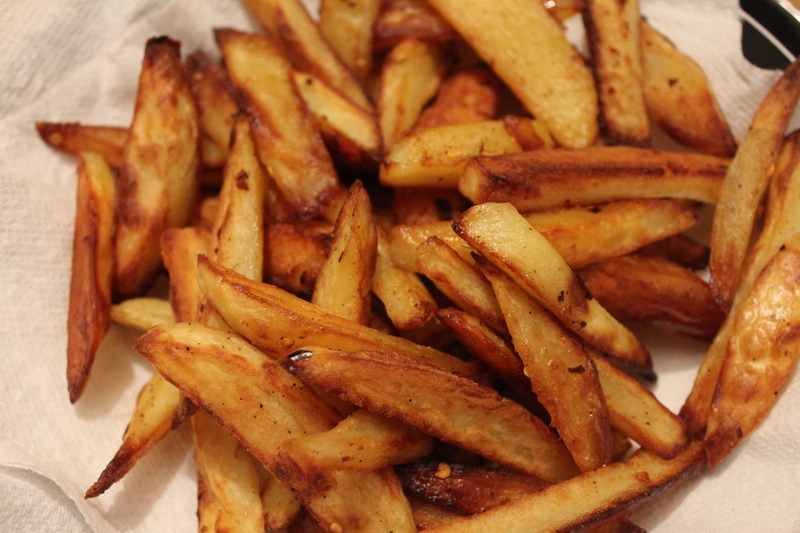 Put the chips on the top shelf of the oven for 40 minutes. Make sure you check back every 10 minutes or so to move the chips around. They will crisp on top so will need turning. After 40 minutes, and several good turns with a fish slice, they should look like chip shaped roast potatoes. They’re done! Pour them out onto a kitchen towel to absorb excess oil and then enjoy. Yesterday I cleared out my wardrobe. Again. I realised I was hanging on to tops that I’d love to wear but can’t with my current lifestyle and so the only clothes that are appropriate day-to-day I end up wearing to death. I think the main reason why I’m wearing the same thing over and over again is that I’m waiting for the nice weather to arrive. I’m in limbo. I want to get my shoulders out. I want to show off my toes. However, the weather won’t let me. There will come a day when I can wear my lovely summery tops and sandals but for now, I’m resigned to warmer clothes. Warmer clothes that I’m bored of. Is anyone else experiencing the same problem at the moment? As a result, I decided to write a post on how you can get through the next few weeks until the sun decides to put his hat on with a few items of clothing that are not expensive but are very, very lovely. And by not expensive I mean cheap fashion! UNDER £35 EACH! These should see you through until the sun is shining.